I am a holiday miracle born two months behind schedule. I am a page taken from stories of experiences shared by many, told through my eyes. I am a hybrid of both good and evil, a line drawn between right and wrong. I am reason. I am purpose. I am an extension of preceding generations and a plow for those that follow. I am laughter in the midst of sadness and hurt and long lines at the grocery store. I am one without regret. I am. I am the faint voice in your head that chuckles at all the dumb stuff happening around you, including the things no one else has the kahunas to find funny. I am an imaginary friend only seen by those who believe in the powerful healing of humor. I am what a French fry is to a burger. What peanut butter is to jelly. What sugar is to Kool Aid. I am necessary. I am. I am the angel that sits on your right shoulder, steering you from wrong, and the devil that sits on your left, aiming rubber bands at the right when wrongful consequence serves a more valuable purpose. I am light. I am darkness. I am not always right, but I am never wrong. I am. I am a life guide to all, a north star to most, refreshing to many, a love to some, an acquaintance to few, a friend to fewer, and a mystery to the remaining. I. Am. Hottywood. I am because I have accepted my place in this world to carry out a legacy of rationale for those that have lost their way. In the hope of saving if only but one from the embarrassment of an unnecessary hardship, relationship, or pink slip, I have pledged to be a tour guide for questionability. My advice is more than just that. It is a journey. It is a reason for my reasoning. It is an answer of wisdom; the kind of wisdom your mother didn’t give you and the kind of wisdom only experience can teach. Do you have a situation that requires advice? Are you ready for the advice that I have to give? 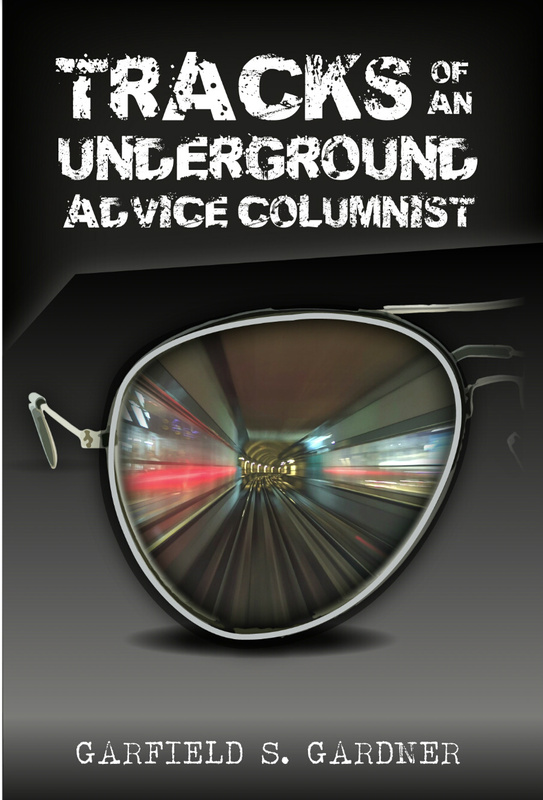 Order your copy of HottywoodHelps.com’s debut book, Tracks of an Underground Advice Columnist today! 5. I write because I have to. It’s my duty. It’s my contribution to society. I write because I need to; because I want to; and it’s my prerogative so I can – I’m grown, and ain’t a damn thing anyone can do to stop me from writing, except break all my fingers, knock me unconscious, or aim a gun at my head. Um….scratch that. Maybe there is something someone can do to stop me. But if I live through it, I’m definitely going to write about it! Please help oh Hotty One!!!!!!!!!!!!!!! This has got to be one of the funniest blogs I’ve read to date. I can’t wait to see what else you come up with. Keep up the good work! Ok. I absolutely love everything I have so far read on your blog. Not only is it brilliantly witty, but also manages to ring true even while being offered up with the truly diabolical sense of humor that only a select few (the lucky few) will understand and truly appreciate. What occurred to me more than once, between guffaws and giggles, was the glaring similarity between your musings and those of Dave Chappelle; who seems to have fallen off the face of this unfortunate earth, much to my utter dismay. Hence, I must ask the unuttered question. Are you he? Not like I expect an honest answer, should I have actually hit the nail on the proverbial head (small or large – you choose). Thank you so much for your kind words! I must admit that I am not Dave Chappelle. He did however go to my high school, albeit quite a few years before me. At any rate, I invite you back to HottywoodHelps.com and I only hope my bad luck and those of others will continue to bring you amusement. I love everything you’ve written here. IF this is anything like what I know you to write I’m so about to enjoy this journey.